Follow these rules to figure out how many miles you can safely aim to get in. Whether you are preparing for a 5k, 10k or a marathon, proper training is important. Many runners mistakenly think more mileage is better overall. Instead, there is a catch. More mileage is better but only up to the point where you can achieve your potential. Once you reach that point, if you exceed it you are only increasing your injury risk. Below are some rules to keep in mind when determining your mileage range. If your aim is to merely reach the finish line of a race, you can run fewer miles when training. But if you aim to finish a race with the fastest time possible, your mileage requirement will increase. When you plan to up your mileage, take it slow in order to allow your body the necessary time to adapt to the increase in workload. 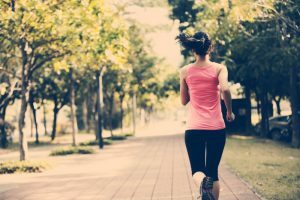 It is generally considered safe to add a mile to each run you do per week as long as you run at least two weeks at that level before adding more. 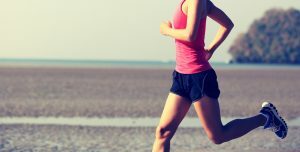 If you run three times a week, you can then up your weekly mileage by three miles. If you typically run five times a week, up your mileage by 5 miles. Then stick with that increased level for another week (two weeks total) before advancing another 3 or 5 miles. Depending on how you are working out, some of your weekly miles can count as more than others. Workouts that include tough track workouts, short repeats and/or tempo runs are harder to recover from than the same amount of time spent doing easier aerobic running. 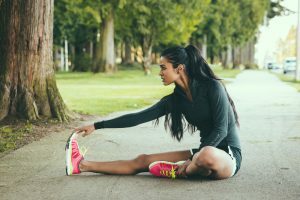 When you do harder workouts, decrease the total mileage a little to make up for the added stress on your body to keep yourself from doing too much and risking injury. Additionally, the farther away your pace is when running at race pace, the less your miles will help when it comes to racing performance. The principle here is that you become good at what you do during practice. If you tend to run slower when training at longer distances but your race is a short distance, fast-paced trek, chances are you are not going to do as well during the race. On the other hand, if you are sprinting short distance runs when preparing for a 10-15 mile cross country race, your training will do little for you. Try to train in a way that will help you achieve your overall race goals. If you plan to participate in a 50-mile race, go on five or six our slow runs. If you want to smoke a fast 5k, train accordingly. This will help you achieve your overall goal. Remember that high mileage totals do not do you any good if you end up injured and have to sit on the sideline during a race. Improve your efficiency and prevent injury by strengthening your upper body. Many runners fail to make time for strength training. Many runners feel that it is unimportant or simply do not have the time while others just flat out hate it. But pumping iron for runners is incredibly important – not only for increasing your efficiency when it comes to running but also for preventing injury! Below are a couple of reasons why along with a few exercises you can do to start building strength. It is important to note that the end goal is not to add a ton of muscle that will negatively impact your performance and pace. Instead, you are simply increasing your strength by increasing your neuromuscular adaptation, or the ability for your muscles to work together. When you strengthen your upper body, you become a more balanced runner. Every time your feet hit the pavement, you use not only your legs to push you forward but also your arms, chest, torso and back to improve efficiency and balance. Your arms pump when you run, enhancing your forward movement. So, the stronger your arms are, the more efficient they will be in your forward movement. 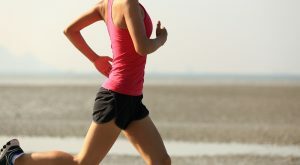 Have you ever suffered from aches, soreness, cramping, strains and/or inflammation after running? 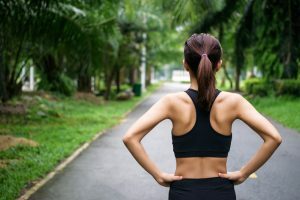 Has it happened in your shoulders, neck or arms after running regularly? If it has not, it does not mean it will not. This is not an uncommon occurrence and is typically the result of poor form. What is more is you can be fine for miles and miles and suddenly something can switch, causing a kink in the kinetic chain. A number of factors may contribute to this: rounding your shoulders, shrugging your shoulders up to your ears, holding a cell phone or water bottle or swinging your arms too widely. A strong upper body can help you to maintain proper position and posture as you work out. It is important that you develop and maintain this strength. 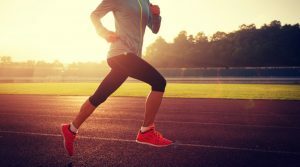 This can help you to run longer without fatiguing so easily as well as prevent that hunched, painful look toward the end of your race. Pushups: You can start out doing pushups – as many as you can for one minute. Advance this toward to minutes as you are able. Once you feel like you are ready, try single-leg pushups. Get in pushup position. When dropping down, lift your right leg 8 to 10 inches from the floor. Return to starting position. Descend again, raising your left leg this time. Do this as many times as you can in one minute. Man Makers: Get in a pushup position with one dumbbell in each hand. Bring the dumbbell in your right hand up to the side of your chest. Lower it to the floor. Repeat with your left arm. Next do a pushup. After the pushup, tuck your legs in toward your chest and stand, lifting the dumbbells into an overhead press. Reverse this pattern, heading back into starting position. Do this as many times as possible for one minute. Try to get some upper body workouts in before your next race. Pay attention to how your body responds and you may be surprised. An easy plan for any beginner! Running for rookies can seem like a huge feat at first. With a successful training plan, you can remove the guesswork while taking your fitness up a couple notches! 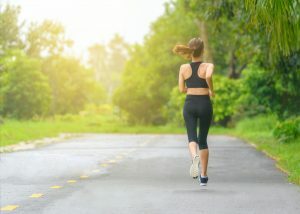 By the end of 10 weeks, you should be able to run a little over 3 miles! All you need to get started running are some comfortable clothes, a pair of running shoes and a watch. 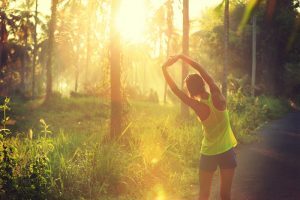 Walk for the first 5 minutes of your workout. This is your warm-up period. Walk for the last 5 minutes of your workout – you always need to cool down. In those 20 minutes between, jog or run – whichever you prefer. Be careful to not push yourself. 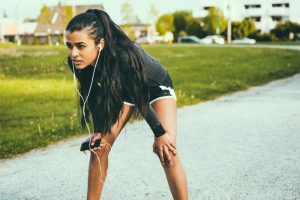 Many beginners like to alternate between jogging and walking by jogging until they feel tired (or for 30 seconds at minimum). Once they feel tired (or the 30 seconds are up) they walk until they feel recovered and repeat the process. Aim to do this three times per week for two weeks. 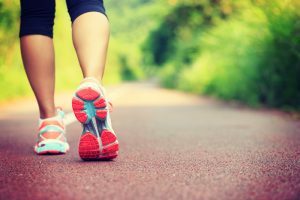 Walk for the first and last five minutes of your workout. During the middle 26 minutes, run or jog as you please. Go at a pace that is comfortable for you; do not push yourself. 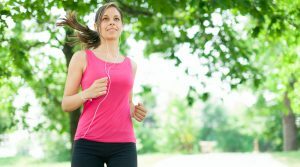 Rather than 30-second intervals, this time aim for 45-second intervals between walking and jogging. Walk for your first five minutes and your last five minutes of each workout. During the middle 30 minutes, run or jog, keeping an easy pace without pushing yourself. Alternate between walking and jogging/running for a minimum of 60 seconds. This time you are going to work out for 46 minutes total, heading 23 minutes in one direction and 23 back. Walk for the first and last five minutes of every workout. During the middle 36 minutes, run or jog at an easy pace. Alternate between jogging/running and walking every 90 seconds (you can stretch this more if you want to). You should be able to hold a conversation while running. If you cannot, slow down. Rev things up a bit by heading in one direction for 25 minutes and 25 back, totaling at 50 minutes. As usual, walk the first and last 5 minutes of each workout these weeks. During the 40 minutes between, jog or run at an easy pace, going until you start feeling tired at a minimum of two minutes. Walk until recovered and start again. Consider recruiting a family member, spouse or friend. Running often is easier with someone by your side! Remember to stay hydrated while running as well! You train and hustle, working hard to prepare for a race. After the race, what do you do? Do you take time to recover or do you hit the ground running again? Many runners fail to take the right amount of time to adequately recover after a big race. Why is taking a break such a big deal? This important, yet neglected part of training plans takes time. Allow yourself at least one day off every 7 to 14 days to restock glycogen stores, reduce fatigue and build strength. If you fail to give yourself time to rest, your one day of rest can turn into a several-week-long forced break. If you dive right into recovery right after a race or tough workout, you can improve your recovery process drastically. If you experience any of these symptoms, consider taking a break or at the very least, an easy day. If you want to keep moving, consider slowing things down a bit. Run at a slower pace for one to three days after a hard workout, allowing blood to flow to your muscles while flushing away broken down proteins. This can also enable new proteins to develop to rebuild damaged tissues and carry carbs to replenish depleted stores in your muscle cells. Marathons can take a huge toll on your mind and body. Recovery does not just naturally happen. You need to help it along – especially if you plan to run again. 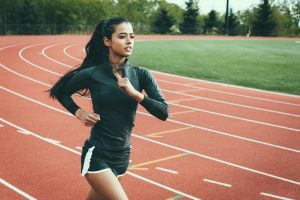 Many of us find it difficult to slow down our pace after a race, wanting to stick with a fast-paced, regimented schedule. Instead, follow these tips for the first 72 hours post marathon. Refuel with a high carb drink and a small amount of protein immediately following a race. Eat frequent snacks high in carbs but also contain 25 to 30 grams of protein for the first 24 hours. Gentle foam rolling and compression can help to remove toxins from the muscle and improve blood flow. Aside from this, relax. Wear compression clothing but try light exercise. Active recovery helps the body’s natural repair process by delivering more oxygen and nutrients where it is needed.